How crazy rich Chinese Pu’erh collectors can be? Well, this latest news perhaps can give you an idea. Auction in Hong Kong just finished, after five hours, Lot No. 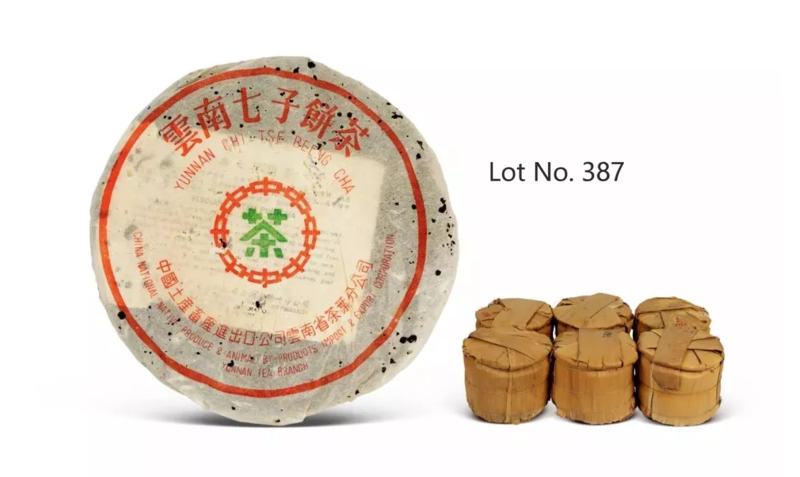 387 Pu’erh tea cake (Sheng Pu’erh #8582) from the late 80’s has received the highest bid, five million seven hundred fifty thousand HKG dollars, the price is higher than the price in the Spring auction. There are 42 pcs in this lot according to this photo, the unit price per tea cake is 3,750,000HKG Dollars (+/- abt. EUR500K per cake). Another Lot No. 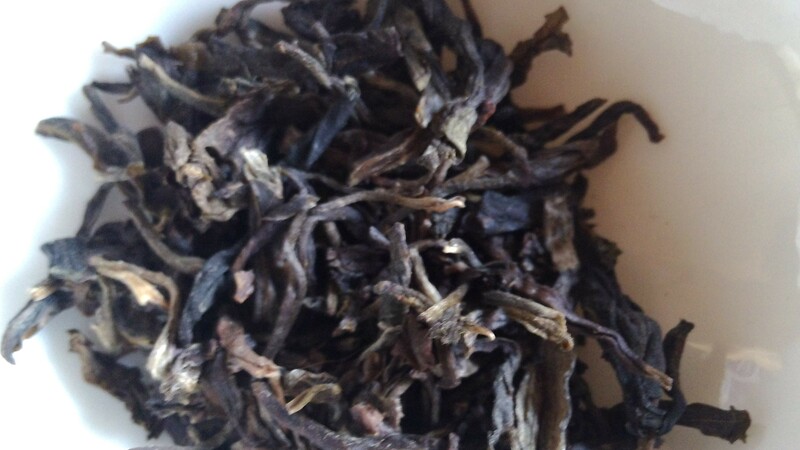 229 Pu’erh from Yang Pin Hao (楊聘號) ended with 2 million eighty eight thousand HKG dollars. As you could imagine such rocky sky high priced Pu’erh are only for few rich Chinese; even though these look very attractive, but such luxury is not affordable by most people. 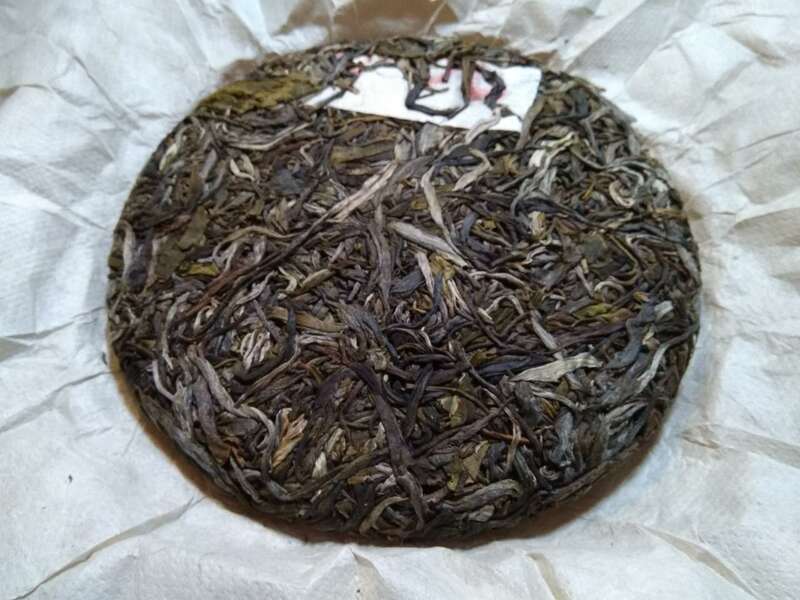 We support pure and authentic quality of tea, but not willing or able to support such high price bidding, because we aim to serve vase tea lovers but not just few tea collectors. Money can buy such priceless aged Pu’erh, but money can not buy time. No matter what, one thing is clear that such aged Pu’erh are limited in the world, every cup they drink, then a piece of it is gone. 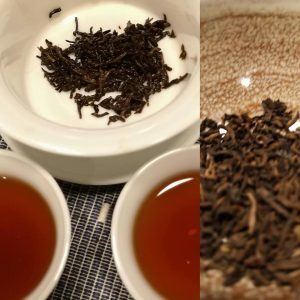 Is Pu’erh Black Tea or Dark Tea? In the Doucha (鬥茶) of a tea sample that girl friend from Ivo’s colleague brought who hoped I can give his girl friend a feed back about the quality, therefore the Doucha last night did not mean to compete but simply tried to understand the unique characters of each tea. 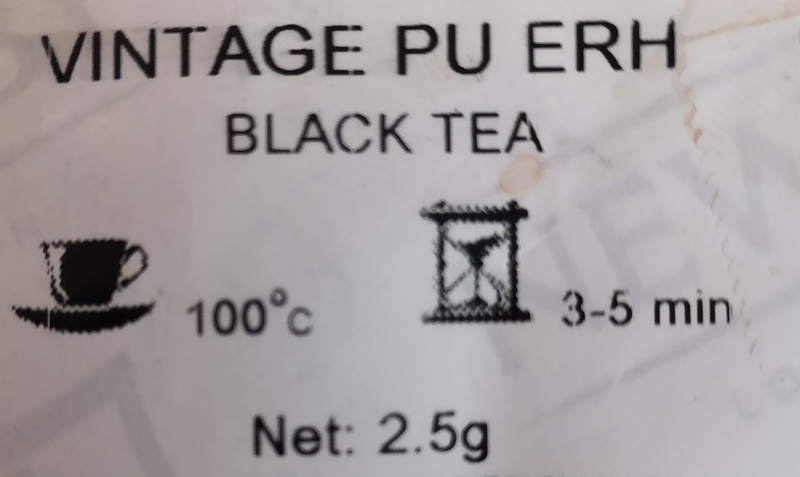 The word of “Vintage Pu’erh” caught my attention, but quickly noticed an error on the package, because the British tea company put the tea type as “Black Tea ” (Hong Cha 紅茶in Chinese), as matter of fact, Pu’erh, particular Shou Pu (Ripped Pu’erh) should be in the “Dark Tea” (Hei Cha 黑茶 in Chinese) tea type. There are two types of Pu’erh, Sheng Pu 生普 and Shou Pu 熟普, because only Shou Pu uses the heap fermentation process, therefore, perhaps only Shou Pu really meets with Dark Tea. 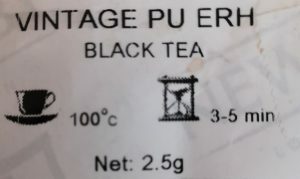 According to the sticker, the original packed weight was 2,5gm, but actual weight I received is 1,5gm, therefore it means Ivo’s colleague only used 1,0gm to make tea in +/- 320ml tea pot. That explains the infusion time of 3-5 minutes. Each person has his or her unique preference in flavours and tastes, it is a matter of definning the meaning for what define vintage quality and how individual choice differ from each others. So what is your choice? Such passion that can neither be described with words nor be melted even with ice from the North Pole. Every step we move forwards, a new path is opened before us that has no end. It doesn’t matter which comes first, tea or people, just because you are already here. Under the greyish sky, it’s time to enjoy the calm and ease energy. After a bowl of noddle, I said to myself that I need to have a cup of tea to stimulate the digestion. The fine image of Bada mountain and ZhangLang cottages that mentioned in the earlier blog still hanging in my memory. So my mind was set for Pu’erh. Instead of young Sheng Pu’erh, it’s time for old tea; instead of opening another dialogue page in mind, I chose the Sheng Pu’erh from ZhangLang made by Bu Lang tribe of 2008. After so many years,can easily divide leaves from the cake. It’s hard to describe that joyful feeling when smelling that mixture of refreshing fruity, betel nuts, mos and grassy notes; the only thought was “Yes, Yes, Yes”. 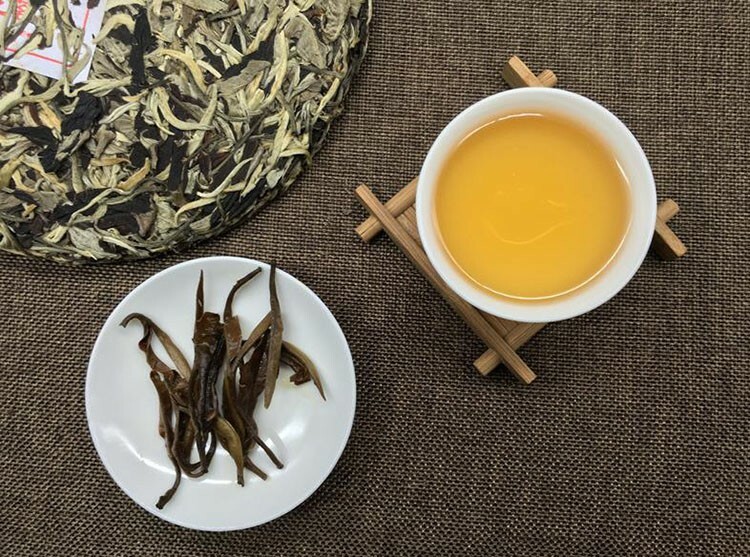 What I love about Sheng Pu’erh from Zhanglang made by Bu Lang tribe is when you first drink it, the taste was soft and smooth, but the mouth is quickly full with the astringent after taste and the after taste last long. 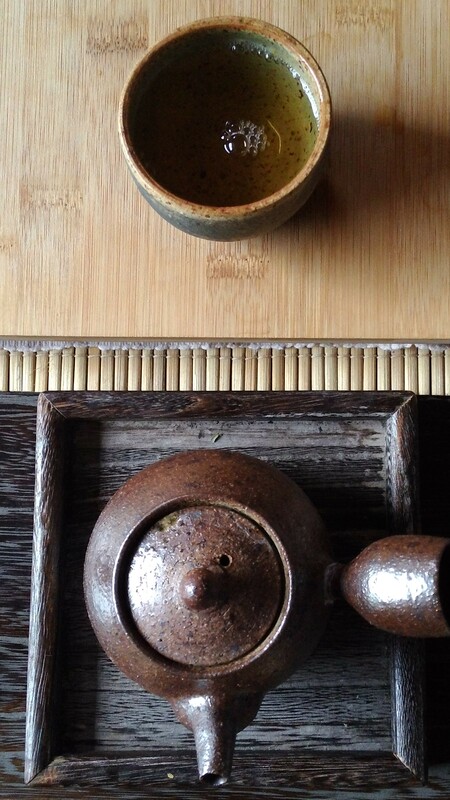 When brewing this 8 years old Sheng Pu’erh made from >100 years old tea tree with wood-fired ceramic tea ware, it’s like enjoying a dialogue that combine wisdom of five elements between two zen monks. The dialogue without speaking, simply enjoy peace and tranquillity in a moment of silence. 2017 Pu’erh tea is available. 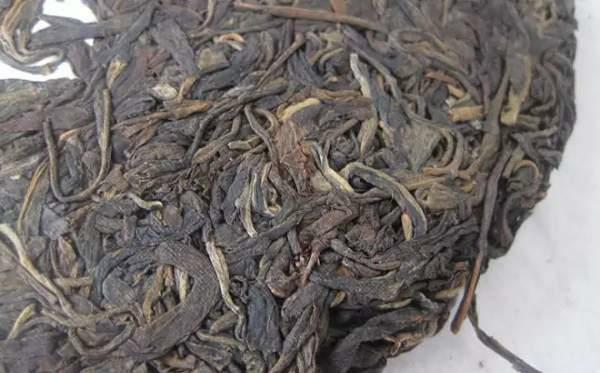 The market for Pu’erh this spring again is tricky, because the quantity is less due to the insufficient rain and frost. Luckily the weather showed her mercy before, during and after leaves were picked. Expecting the price marks high this year, but I believe the quality is interesting that worth for collection. 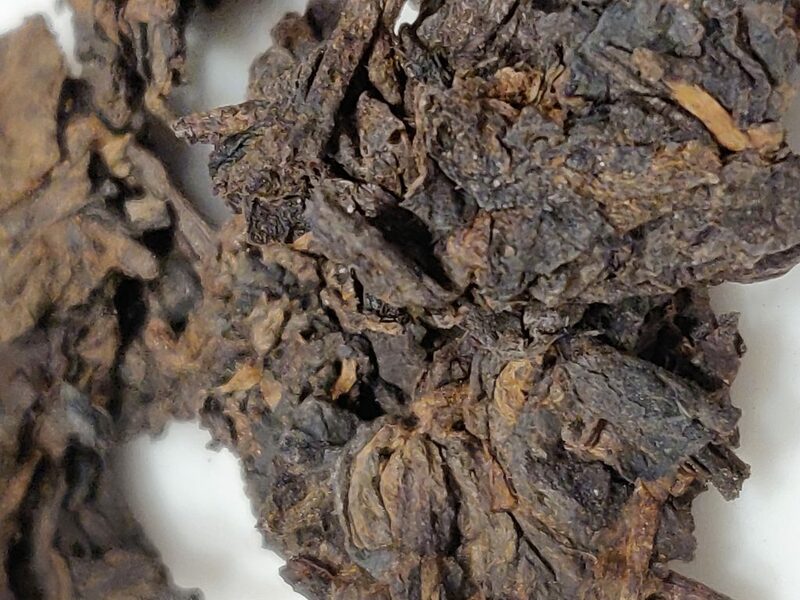 A no-so-good quality Pu’erh won’t become good-to-better quality pu’erh by the aging process through years of storage. It’s better to invest on good-to-better quality to have a reasonable stone to make a snow ball in the future. Growing old together Pu’erh is fun and inspiring. 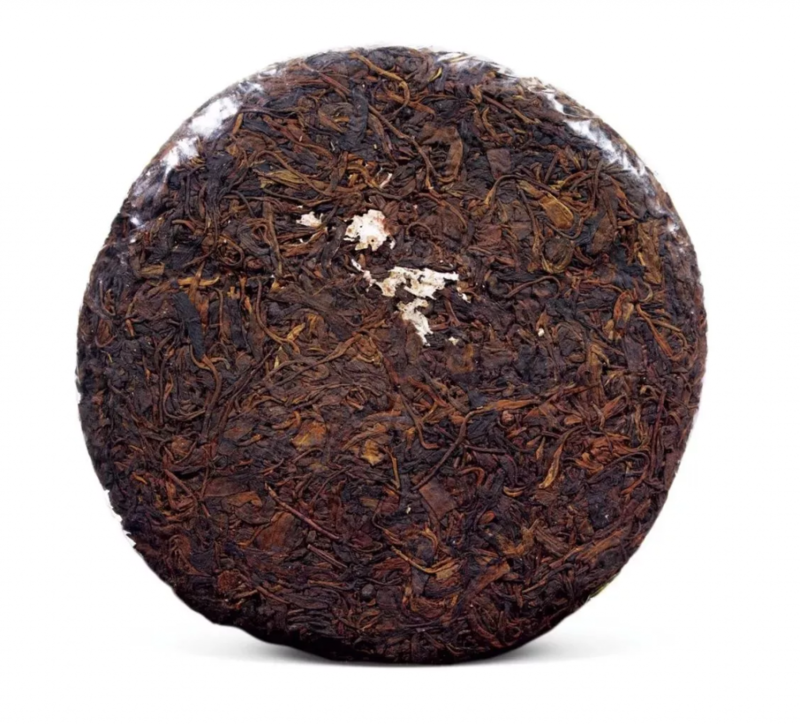 Tea cake is made from tea leaves from Zhanglang cottage and BaDa mountain region. The average age of tea tree: >100 years old. 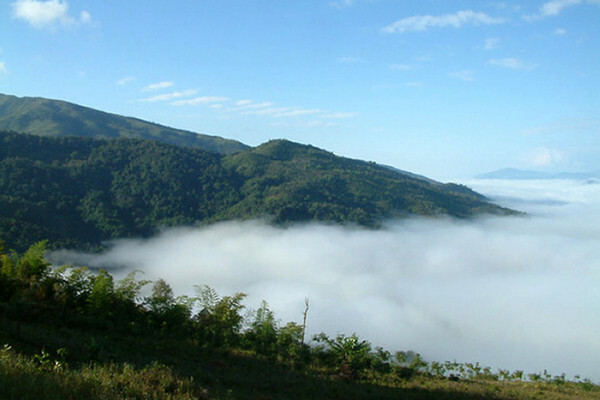 concentrated areas of ancient tea tree resources in Xishuangbanna, and there are more than 6,000 mu of original ancient tea tree. Zhanglang is the largest family stockade of BuLang tribe. The altitude is about 1750meters where have not only very rich resource for Puerh tea production, but also the cultural heritage is also obsessed by many people who appreciate tea and nature. 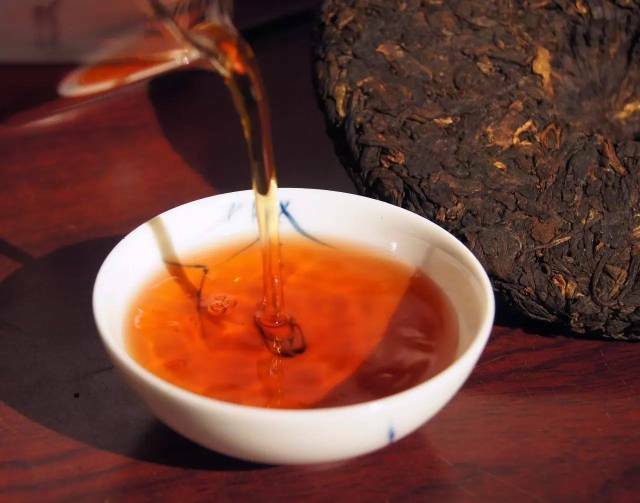 BuLang Pu’er tea is known for its steady atmosphere, delicated flavor from the tea liquid. The taste is somewhat watery soft and smooth with slight bitter astringent taste; the after taste comes slowly in mouth but full of stamina that chants in your mind with its memorable flavor and taste. In general, this year the region has ess rain after the Chinese New Year and the frost afterwards caused drops of fresh young leaves. The quantity has drops about 40% but the demands are increased therefore the whole sales price increases more than double than last year. Even though the price is slightly higher this year, but the quality is worth for collection. 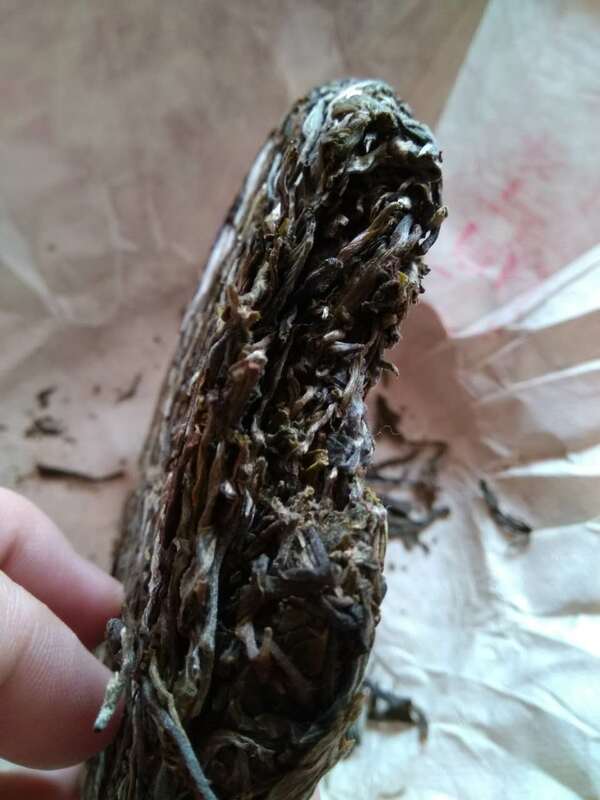 A riped Puerh claimed older than 50 years, is it true or false? 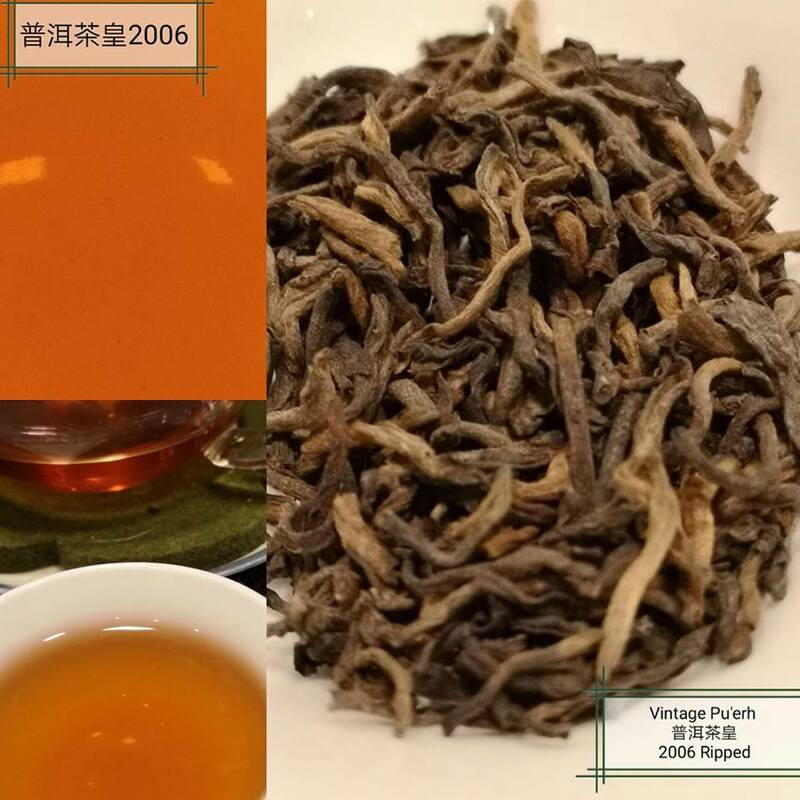 The manually piling fermentation process to accelerate the post-fermentation flavour and taste of Riped Puerh (Shou Puerh) was successfully developed in 1975. The technique was only mature for massive production in 1984. 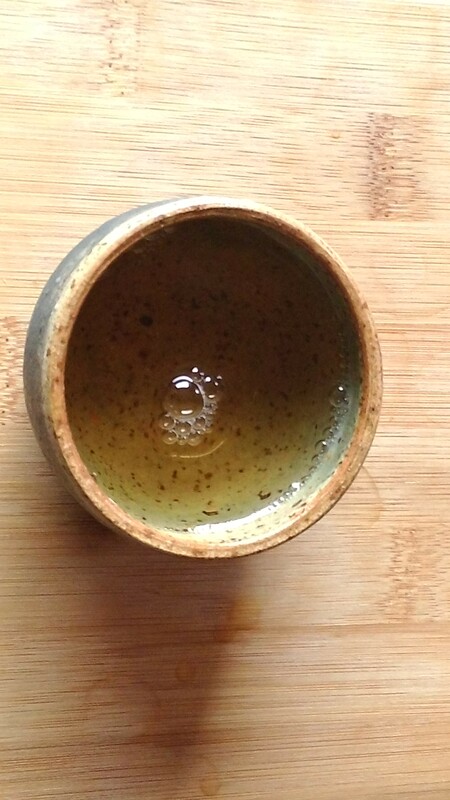 Riped puerh (shou puerh) is in dark brown or dark brownish copper color. With years of storage and post fermentation, raw puerh (sheng puerh) remains as aged puerh but won’t become a riped puerh (Shou Puerh). Gu Shu 古樹 is a general term for ancient aging tea trees that are older than hundreds to thousand of year old, that normally grow in nature forest and are found on the high altitude areas. It is hard to say precisely how old these tea trees are because these trees are under protection; so people can only give an estimation based on its height and size. 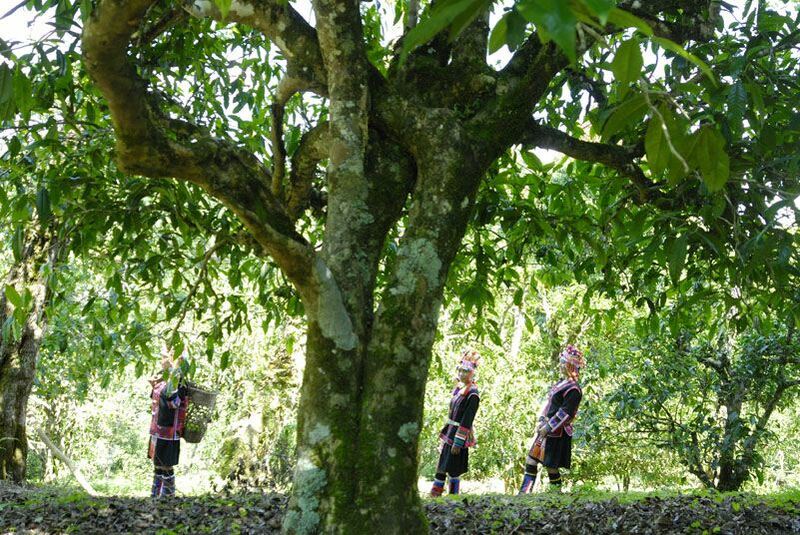 In Yunnan, it has already discovered more than 1,000 acres of ancient tea trees; there are 14 estates are connected together, the cover area is about 21.21 acres. Till now the countable discovered thousands year old ancient tea trees in Yunnan are 32 trees, it is about 43% from what have been discovered in China. Transitional cultivated type : Tea trees have been cultivated long long time ago, from few hundreds to thousands of year; basically the size of tea tree is tall and strong. Ye Sheng 野生, it short means wild tea trees that were found in between nature forest and cultivated tea plantation and its DNA is related to the cultivated tea trees. Not all wild tea trees can be processed to make tea drink because many raw tea leaves are pretty bitter. Good quality is limited. But Ye Shen Cha (野生茶 Pu-erh tea made from wild tea trees ) is not equivalent to Gu Shu Cha (古樹茶 Pu-erh tea made from Ancient aging tea trees), Da Shu Cha (大樹茶 Pu-erh tea made from transitional aging tea trees) or Shen Tai Ye Fang Cha (生態野放茶 Pu-erh tea made from widely cultivated aging tea trees) . Ye Shen Cha is not necessary equivalent to good quality tea. The ancient cultivated arbor type of Gu Shu (栽培型古樹) , the age is more than 300 years ago and grow in a natural protected environment can produce good quality Pu-erh tea. Shen Tai Ye Fang (生態野放) means these tea trees that were manually cultivated but have been abandoned for decades or few hundreds of year, the plantation is now under well organic management. Ye Shen Cha (野生茶 Wild tea tree cultivar) means those tea trees that have been grown widely without being cultivated or management. 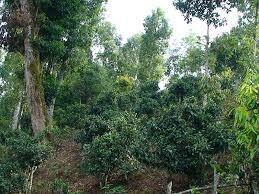 Tea trees were grown from seeds, there are lots of variety. 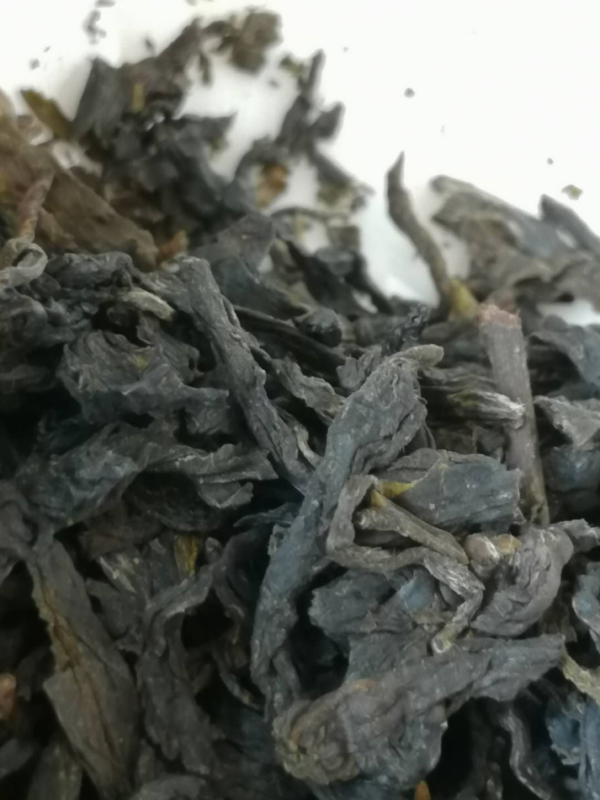 No hair or very little hair on the young buds/leaves, the edge has less cog or none; the color of fresh raw tea leaves is in dark olive green color. There are lots of cultivars in wild tea trees, no much can be processed to make tea because of its bitter taste, the local aboriginals call it as Ku Cha (苦茶). The wild tea contents more soap base and have mild toxic micro, can cause diarrhea. It is advised to be cautious with the consumption of this kind of Ku Cha. “Aged Pu-erh” 陳年普洱 means Pu-erh tea made from either Lao Shu (老樹) or Da Shu (大樹) or even from Ping Di (平地) that’ve been stored for long time, it can be either loose leaves, tea brick or tea cake. Can you distinguish the change of aroma and taste during the transformation? It is a surprising life-time learning. Gu Shu Pu-erh” 古樹普洱 means Pu-erh tea that madefrom ancient tea trees, either from transitional cultivated tea tree or Ye Shen (Wild) tea tree cultivars. Since the growing areas of Gu Shu are spreading in pretty wide region in Yunnan, therefore, it is necessary to find out more behind the name. In which year it was being truly made, the condition of the wrapping paper and in-fly can reveal a lot of information already. Like for all kind of tea, there is no better method to evaluate the tea besides checking the quality by its look (shape & color), aroma, flavor and taste. Tea is a wonderful gift from Nature; it is a simple agricultural product but its complexity is much deeper and wider that no one can really draw the end line for exploration and learning. The journey of tea begins from liking and appreciating tea. Tea is a great teacher when we are willing to explore further with a opened mind and maintain a curious learning attitude. The name or the brand is not necessary mean good quality tea, because each person might have her/his unique preferences to flavor and taste, basically what that person likes and can afford are ‘good’ tea to that person. What is your favorite tea today? Enjoy a peaceful tea moment. Phoenix raw Puerh toucha after 12 years of aging process, it has fine woody with mint and plum flavour.